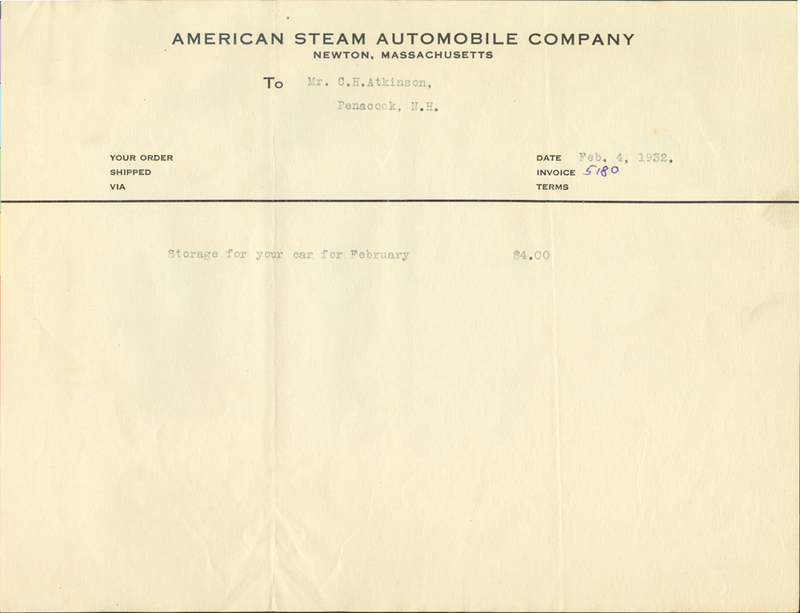 American Steram Automobile Company Name Plate. 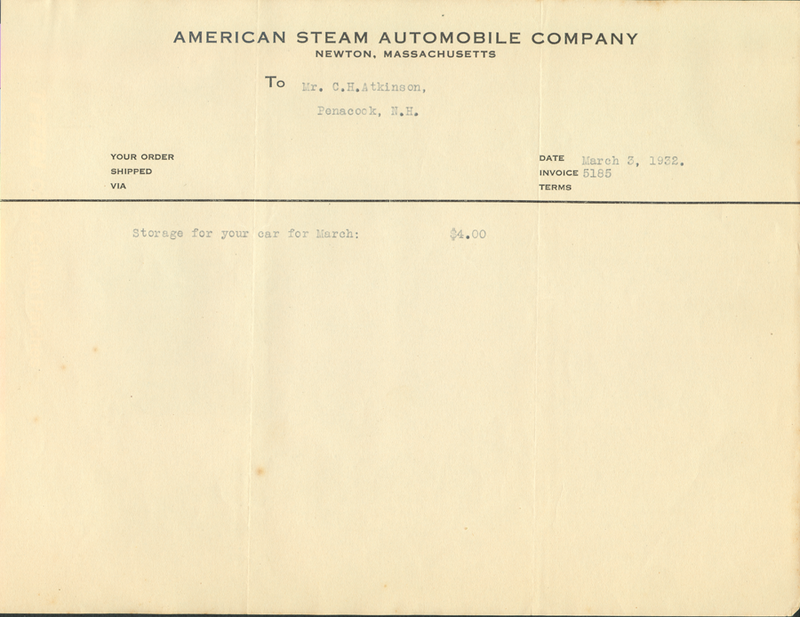 American Steram Automobile Company Brochure, undated, but probalby mid to late 1920s. 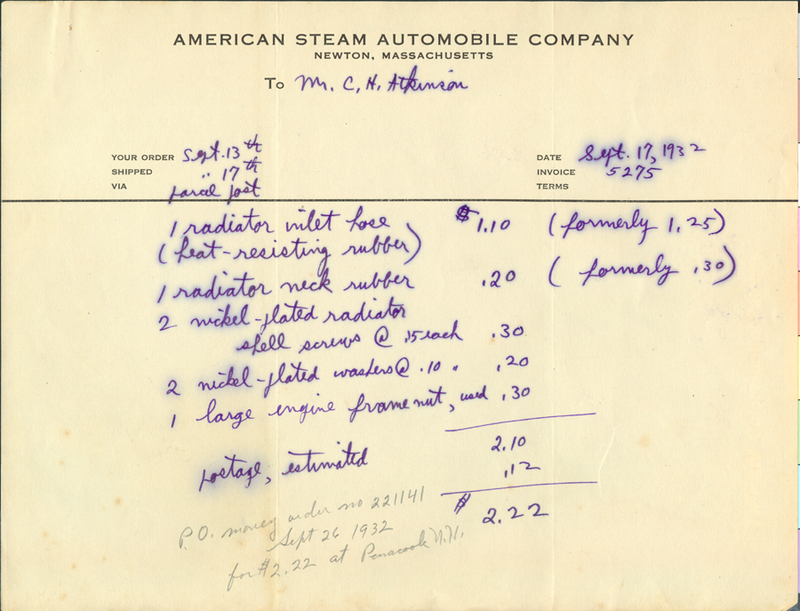 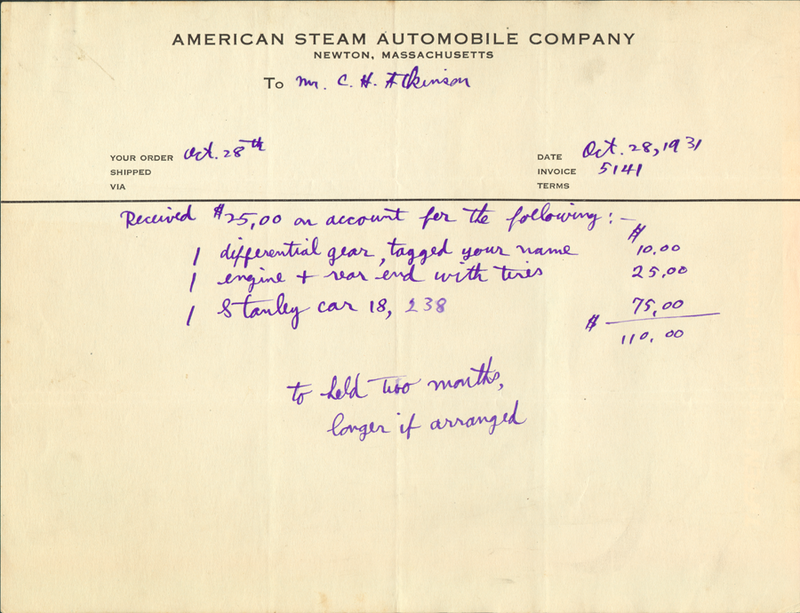 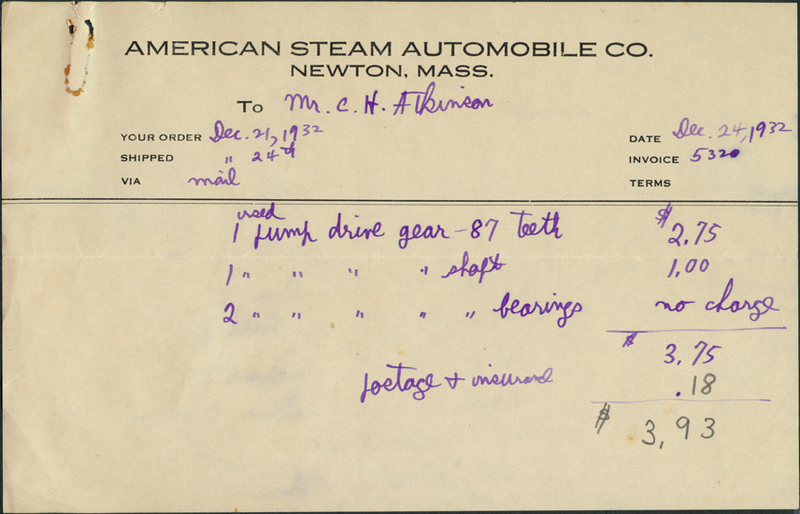 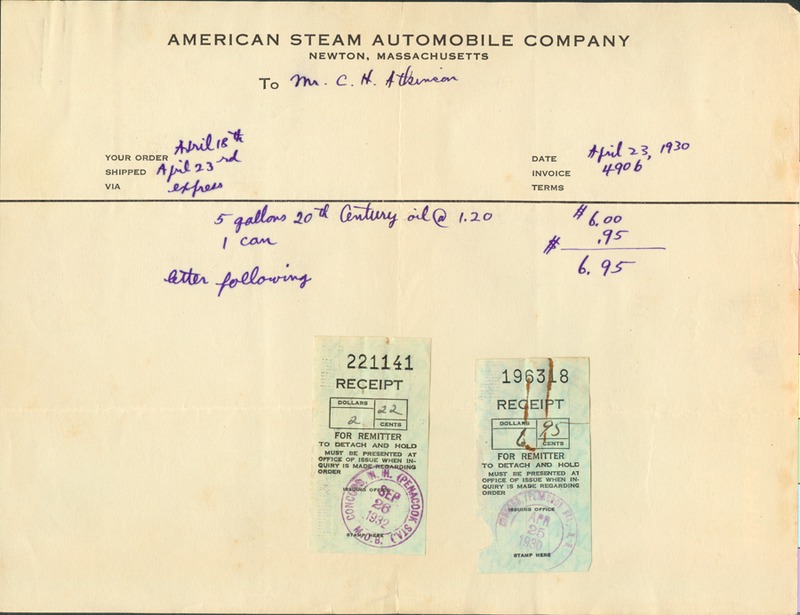 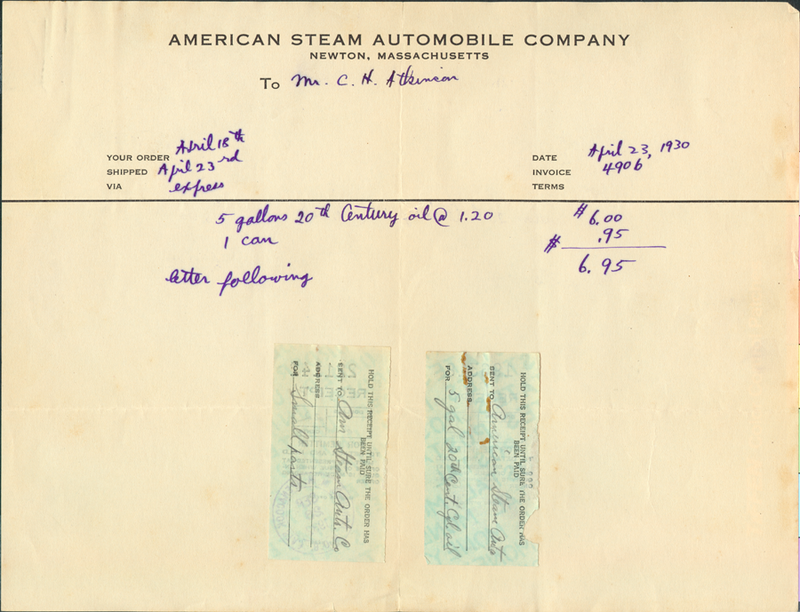 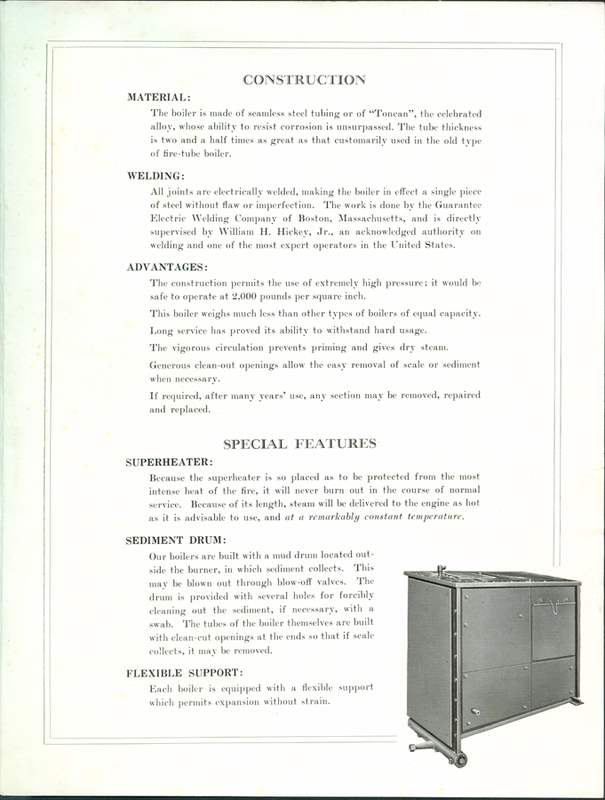 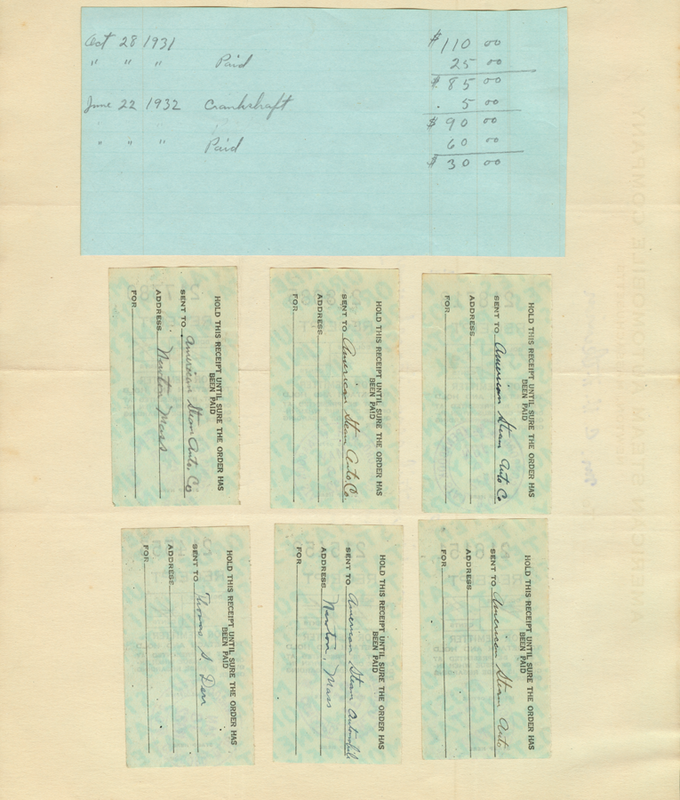 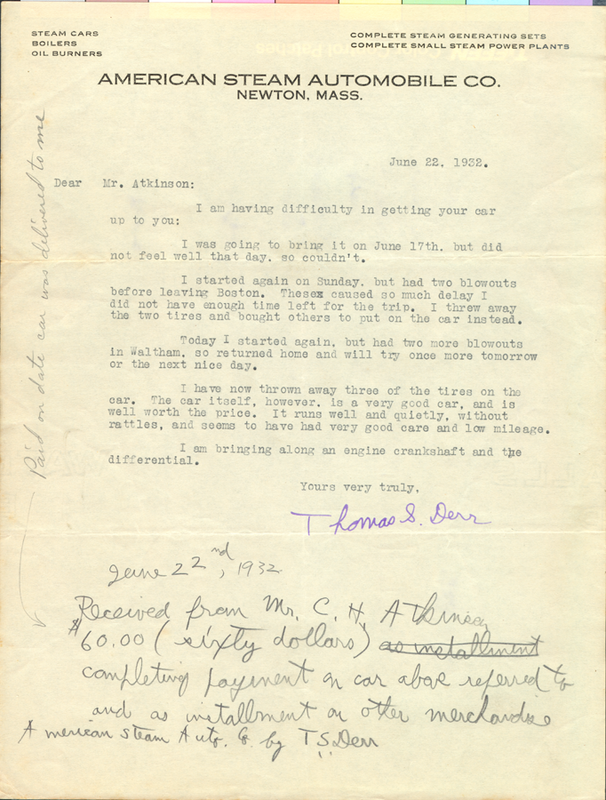 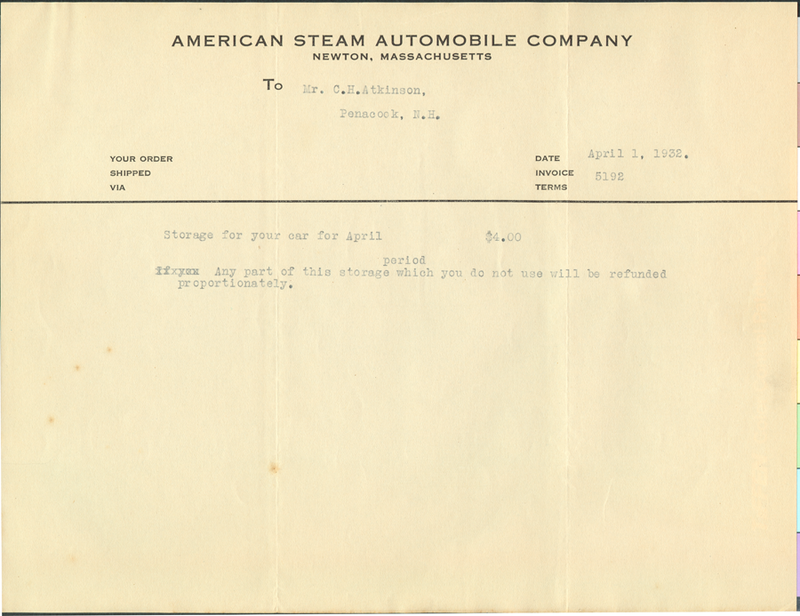 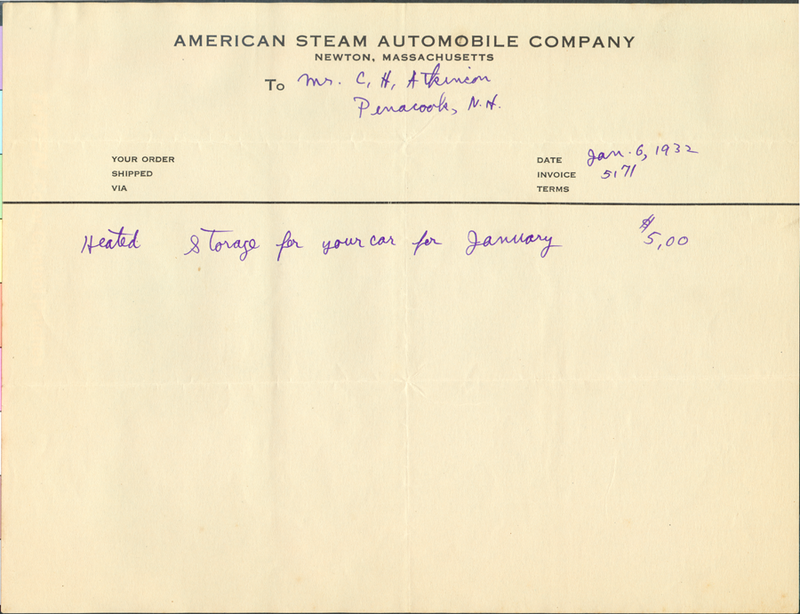 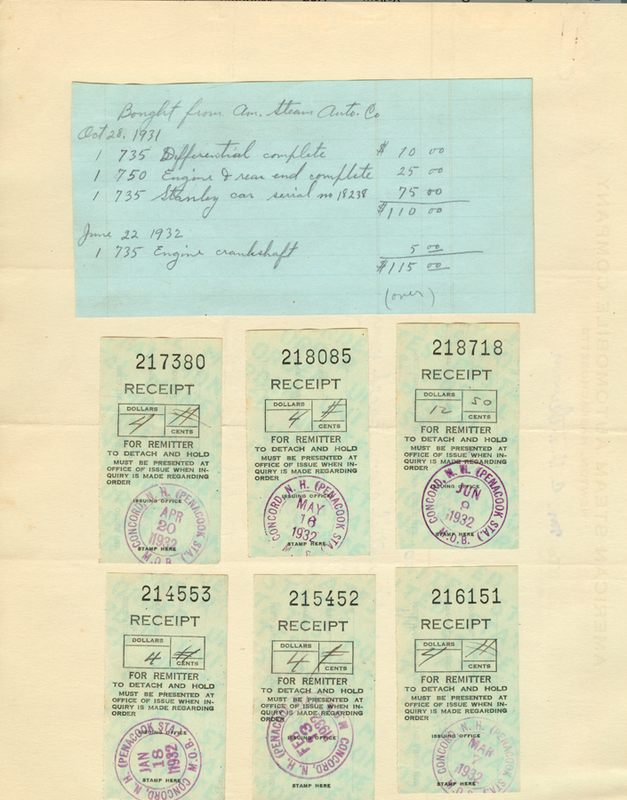 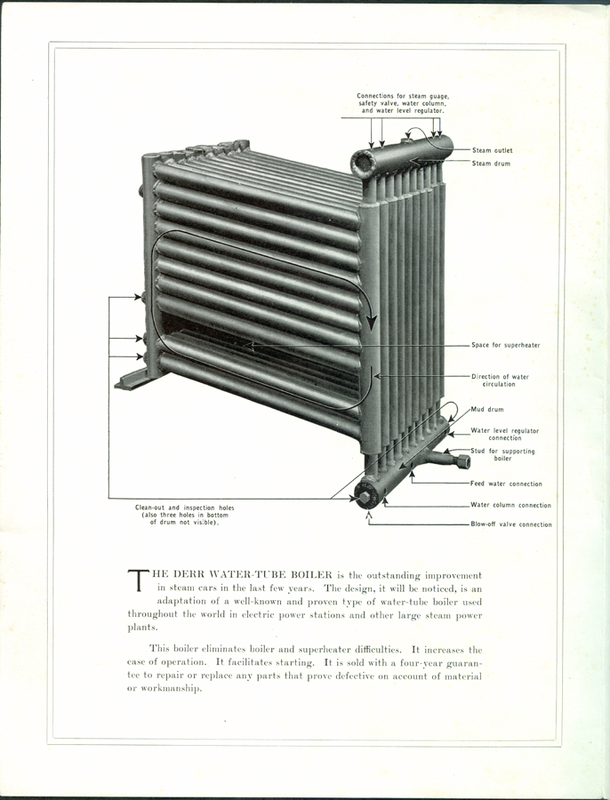 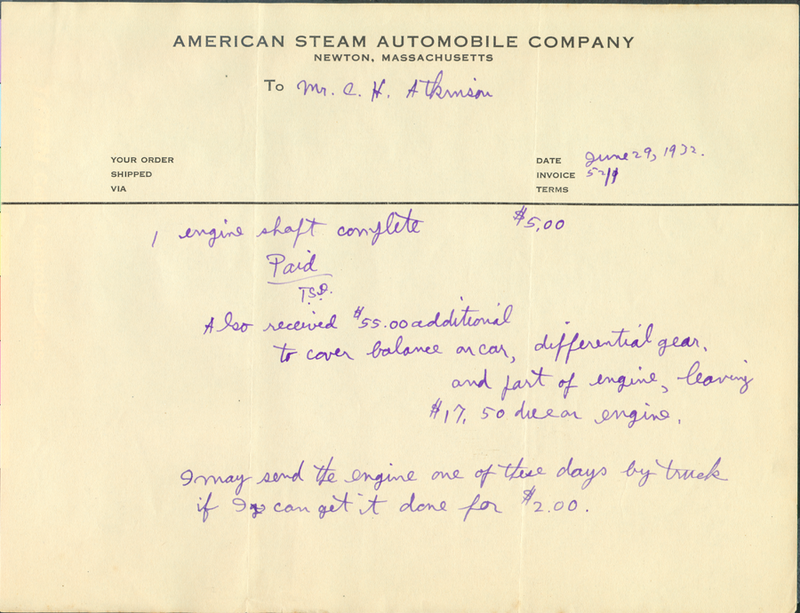 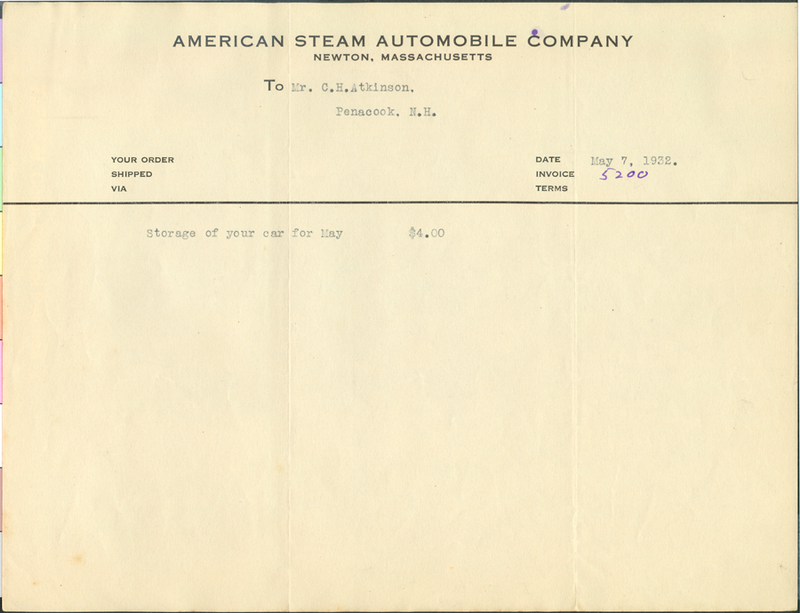 The collection of papers below includes a letter from Thomas Derr to a Mr. Atkinson along with a series of receipts for the storage and repair of a 1918 Stanley. 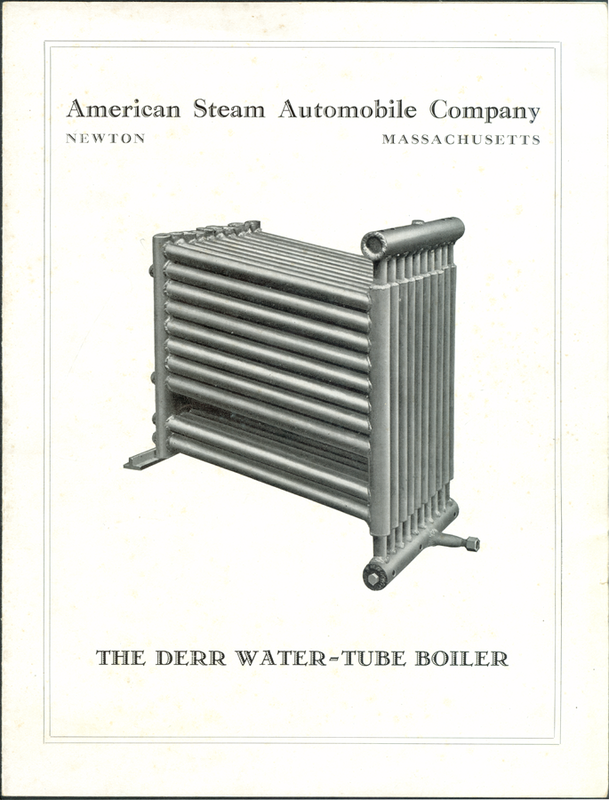 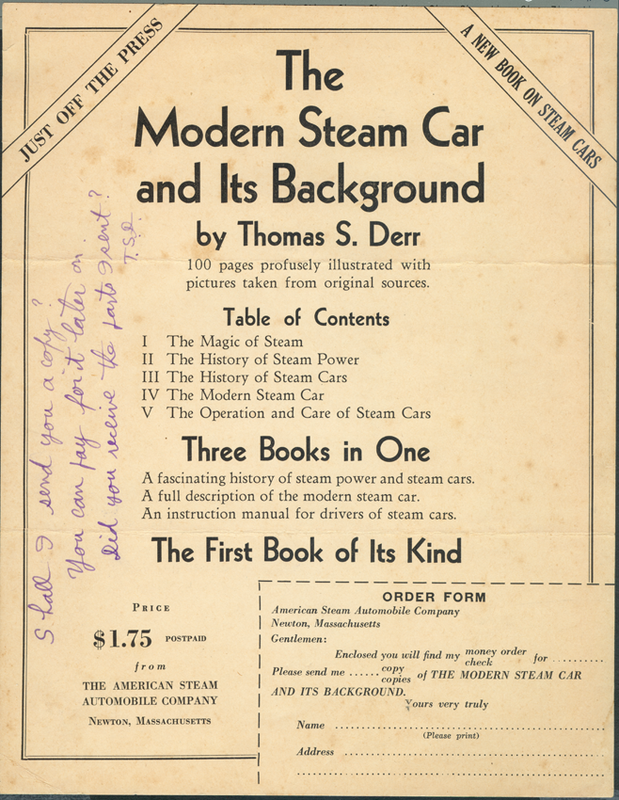 Derr included a flyer for his new book, The Modern Steam Car and Its Background. 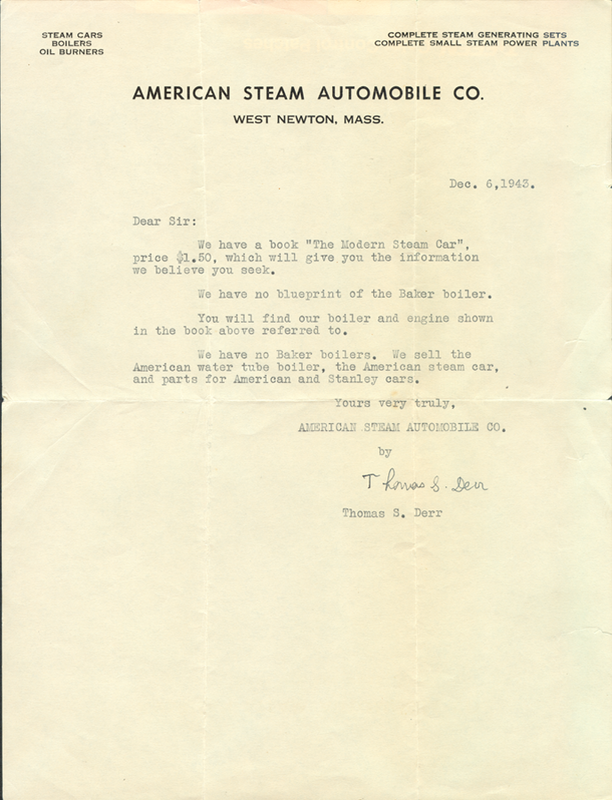 This December 6, 1943 letter from Thomas Derr to an unidentified recipient shows a shaky signature. 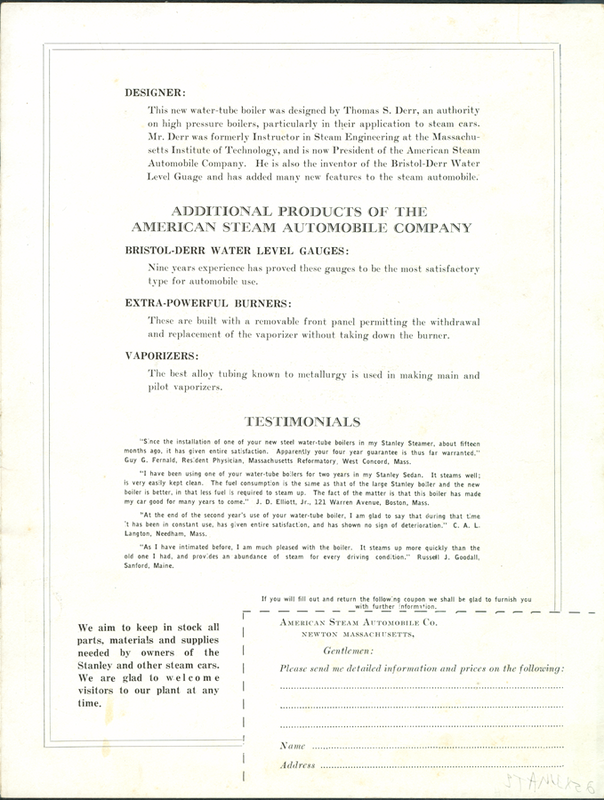 Georgano, G. N., Encyclopedia of American Automobile, (New York, E. P. Dutton & Co., 1968), p. 18.